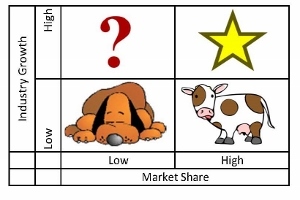 In the Boston Consulting Group portfolio matrix, the cash cow slot is reserved for a product (or service, in this case) that is past its prime, but continues to generate revenue for the company. There’s no need to spend any marketing dollars on the cash cow–you’re not going to gain any new customers. But AOL proves that cash cows can be really, really profitable. While AOL is still trying to build a future around its Internet media business, the company has done an excellent job managing and maintaining its legacy cash cow: the original subscription dial-up Internet access business, which still provides the majority of the company’s income. , a decline of just 57,000 from the third quarter and 284,000 from the end of 2013. AOL’s subscription revenue reached $606.5 million last year, or about 24% of the company’s overall sales. But AOL’s “membership” group, which includes its dialup business, generated $562 million in adjusted operating income before depreciation and amortization (OIBDA) last year. That’s more than eight times as much as the AOL “brand” group—the digital media business. 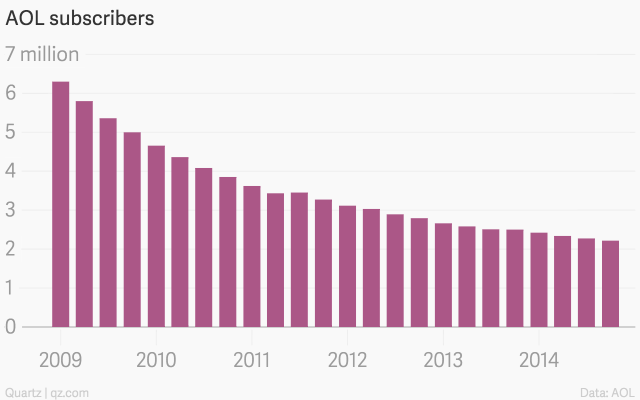 Fewer subscribers are leaving. AOL’s subscriber churn—the proportion of customers who leave the service every month—declined to 1.3% in the fourth quarter, from 1.6% earlier in the year. (This is doubly impressive as a smaller subscriber base makes it easier for the churn percentage to increase.) 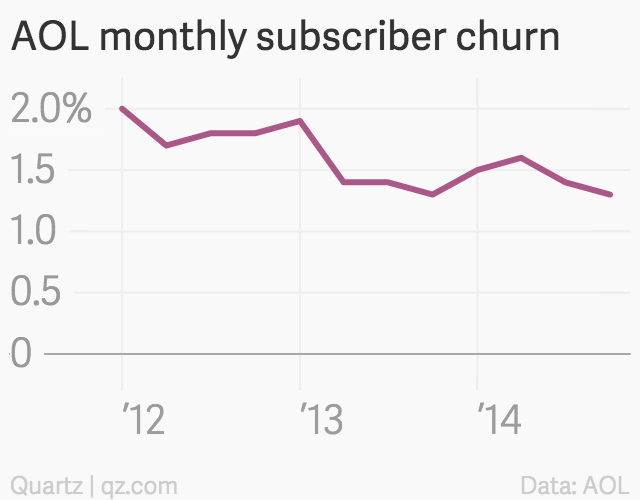 For industry context, satellite radio provider Sirius XM’s churn was 1.8% during the same period. And churn at Sprint, one of the largest US mobile providers, was 2.3% for its “postpaid” subscribers. Subscribers are spending more per month. 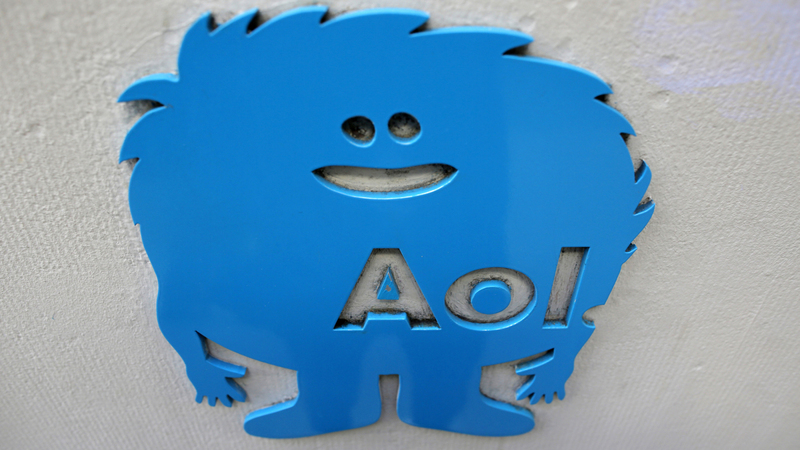 AOL’s average revenue per user increased to $21.18 during the fourth quarter, up from $20.01 a year prior. AOL says this reflects “price increases associated with adding increased features, services and value to our subscribers’ packages.” The company offers plans up to $26 per month that include features such as VIP technical support, security tools, and identity protection. These improvements, despite the obvious shift toward broadband and mobile internet access, suggest AOL has reached a near equilibrium where it is actually delivering value—real or perceived—to its subscribers. However, AOL shares declined 12% today after the company said 2015 would be an “investment year” after yet another restructuring, according to Business Insider. ← Is your pricing right? Probably not.